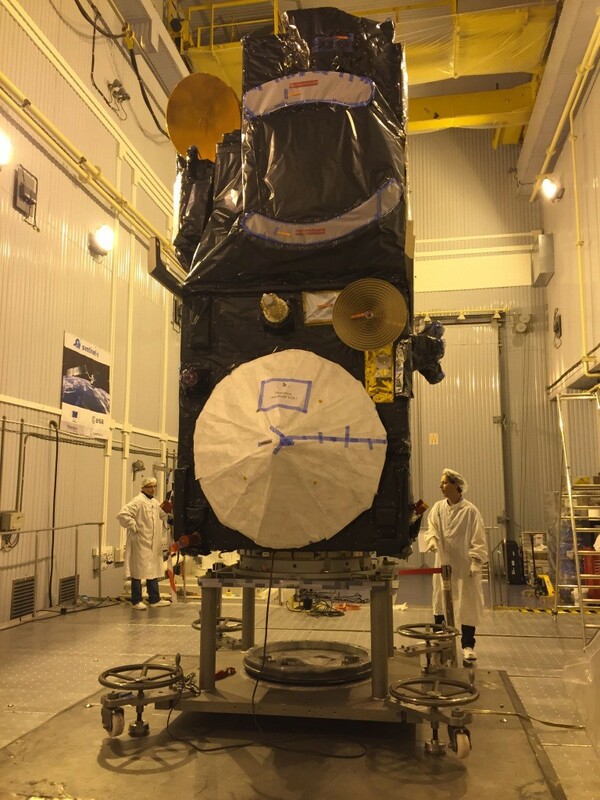 So, since getting back into the cleanroom we’ve taken Sentinel-3A out of the storage container and it is now in a vertical position and on the fuelling platform, ready to be switched on today. Before opening the container, the first job for our quality assurance experts was to inspect the cleanroom to make sure it was still clean and check the temperature and humidity levels. It turned out that the room housing the container needed some extra cleaning to bring it up to spec. 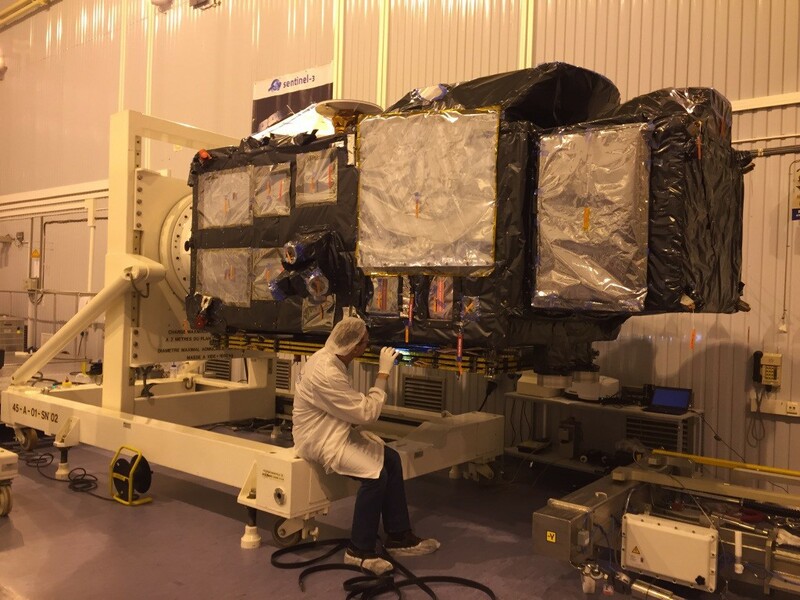 Once the level of cleanliness, temperature and humidity had all been approved we could get on with the task of opening the container in which Sentinel-3A had been sleeping since just before Christmas. It was really good to see our baby again! The next thing to do was give the satellite a really good check and a few things like finishing off the multilayer insulation and removing some ‘non-flight’ items. 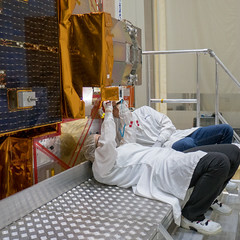 We were able to take advantage of the satellite being in a horizontal position, which made some places easier to reach. While the cleanroom was fine, it was a different matter for our control room. We struggled to get it to an acceptable temperature and humidity level. It isn’t very well insulated and there are many places where a very cold draft gets through – don’t forget it is extremely cold and dry outside. The electrical ground support equipment room ended up looking like a bathhouse with portable heaters, wet towels and steaming hot buckets of water, as well as having kettles boiling up water to provide some moisture. This all seems to help, raising the humidity from just 9% to over 40% and bring the temperature up 20°C. In the meantime, our colleagues at ESA’s European Space Operations Centre (ESOC) in Darmstadt, Germany, simulated the launch and early orbit phase as part of their training. 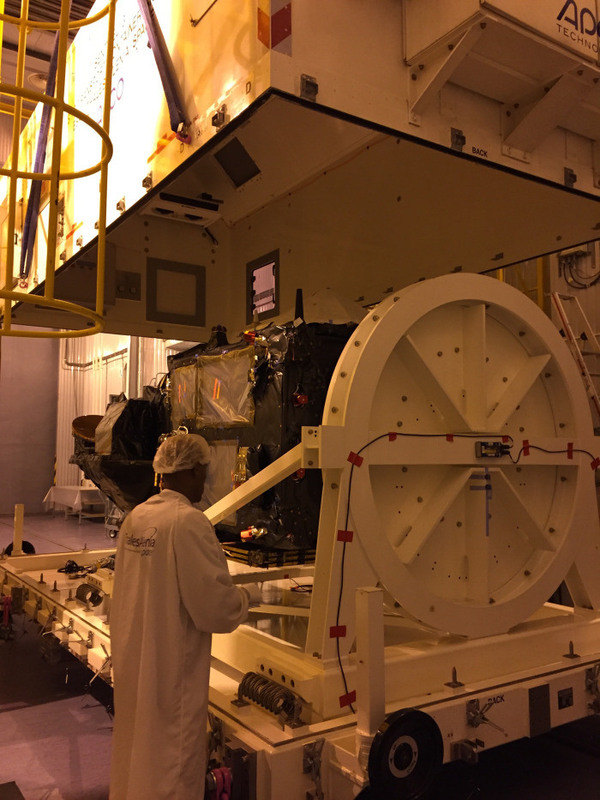 Yesterday, we put the satellite into a vertical position and moved it onto the fuelling platform. The team could then proceed with working on the electrical connections so that today it can be switched on for a check after its beauty sleep through Christmas. Some of the team also paid a visit to the launch pad to do a health check on all the electrical ground support equipment stored in the ‘under table’ room. We also tested the communication links between this location and the MIK. Apart from the humidity levels, everything was fine. 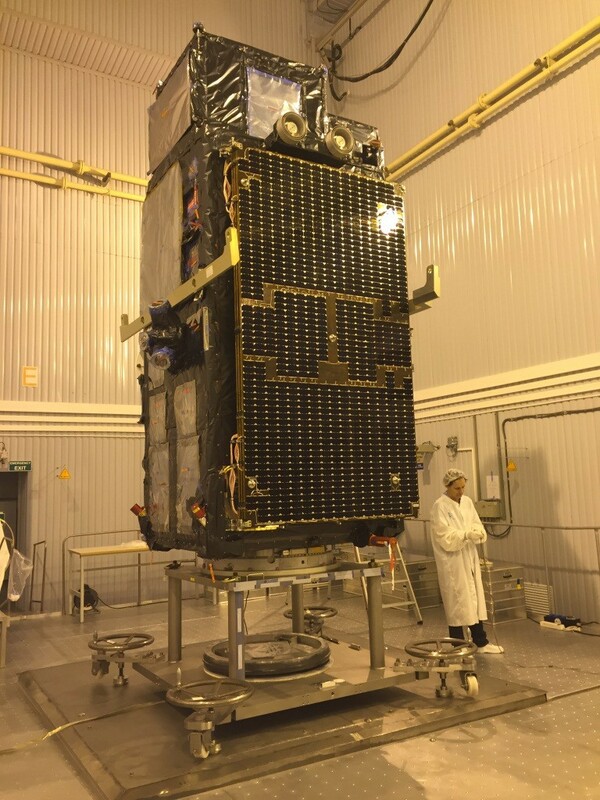 In parallel, we have also been preparing for the fuelling operations foreseen next week and the launch/network countdown rehearsal, which is planned for the this Monday with our colleagues in ESOC.